The decision to relocate for a current or new job is a big one. But according to a recent study from MyMove.com, it's one that many Americans consistently make. In fact, MyMove's study found that “new job/transfer' was among the top five reasons people move. Often, those being asked to relocate for a job aren't given much time to make the life-changing decision. According to Atlas Van Lines' “46th Annual Atlas Corporate Relocation Survey,' 44 percent of companies allow up to two weeks to accept or decline an offer, while 32 percent of companies allow only one week or less to do so. And once employees have made the decision to move they're almost immediately in a time crunch. The Atlas Van Lines survey notes that two-thirds of companies give employees a month or less to report to work at their new location. To help ease the stress and anxiety that comes with moving under such a time crunch, following is a job relocation resource guide for the newly hired. ✔ Negotiate moving expenses. Does your employer offer a relocation package? This Monster.com article provides tips on how to negotiate a relocation package with your new employer. Another helpful resource is this Moving Cost Calculator, which will help you determine the cost of your move. You'll want to know the amount before you start your negotiation. ✔ Research schools in the new area. This helpful article advises that you first check out The Nation's Report Card, which provides information about the academic achievement of the nation's elementary and secondary school students. The article also suggests searching the schools in your new area at the National Center for Education Statistics website. ✔ Work with reliable real estate agents. Having great real estate agents will make selling your current home and buying your new home a lot less stressful. This article provides a few tips on selecting the right agent for you. 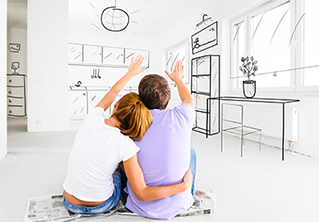 ✔ Find a new home... Buying a new home in a different state can be difficult. This article breaks the process down into six steps. ✔ …Or rent first to get to know the area. This article suggests that you may want to rent an apartment or home before purchasing property in your new location. Doing so will give you a better opportunity to get to know the area and gain a firmer grasp of which parts of the area best fit your lifestyle. ✔ Know the red flags of moving fraud. From binding estimates to blank documents to generic rental trucks, the U.S. Department of Transportation's Household Goods Program provides red flags to look for so that you can avoid being a victim of moving fraud. ✔ Hire professional movers. Through the Household Goods Program, the U.S. DOT also stresses that you first know your rights and responsibilities when it comes to working with a mover. Next, follow these 12 steps for hiring a reliable mover. Keep in mind that reviewing mover estimates can be tricky—learn more about them here. ✔ Switch your utilities. Avoid any inconveniences and extra costs by following this article's advice to cancel your current utilities about two weeks prior to your move and to then set them up at your new home. The article provides a list of utilities as a guide and also provides a list of other government entities, companies and organizations you'll want to notify once you've moved. ✔ Pack an overnight bag. This article, which includes other great tips, explains the benefits of packing an overnight bag for your first night in your new home. What should you pack in it? Here's a sample packing list. ✔ Supervise the packing process. As this article explains, keeping an eye on the packing process can save you a lot of hassle. ✔ Label boxes by room. This article explains that labeling boxes can be a great time and headache saver. It suggests designating an “open first' box and labeling boxes by room using a number or color system. That way, when you arrive at your new home, you'll know exactly what goes where. ✔ Disassemble furniture. Disassembling furniture is a time-consuming, but necessary, part of any move. This article provides 11 tips on how best to manage disassembling your furniture. For example, keep each piece of furniture's removable parts in a ziplock bag and tape the bags to the underside of the furniture. ✔ Protect walls and floors. Whether you have carpet, hardwood floors, or both, this article offers helpful tips on how to protect them during your move. It also cautions readers not to forget about the walls. For additional guidance, see this video on protecting your home on moving day. ✔ Double-check the route (for you and your movers). This common-sense tip is easy to do and can prevent a lot of stress on moving day. As this article explains, make sure everyone, you and your movers, are clear on exactly what route to take. ✔ Create an inventory of boxes and items. This article provides detailed advice on how and why to create a home inventory before you move. Be sure to include all pieces of furniture and each of your labeled boxes. Check items off your inventory list as they're loaded onto the moving trucks and re-check them as they come off to make sure you have all of your items. If you aren't sure where to start, use this sample inventory list offered as a spreadsheet and pdf. ✔ Remember, safety first. The last thing you want is to be injured when you start your new job. So be sure to take necessary precautions on moving day to stay safe. This article provides great safety tips, such as carry boxes from the bottom and use a dolly or hand truck whenever possible. ✔ Work with your unpacking crew. This article provides great advice on how to begin the unpacking process. First, explain to your unloading crew where furniture should go. Then, monitor the process as boxes come off the truck. Keep an eye out for damaged boxes and write down any damage you see. ✔ Follow the “art of unpacking.' Believe it or not, there is a right way to unpack once you're moved into your new home. This article recommends that you start with essential items, such as toiletries, and provides a numbered list of the order in which you should unpack each room. ✔ Have tools ready for assembling furniture. Remember all that furniture you disassembled? Now it's time to put it back together. When you arrive, as this checklist recommends, make sure you have your tools handy so that you can quickly begin re-assembling your pieces. ✔ Check the utilities. Are all outlets and lights working? Do you have hot water? This article explains the benefits of going through your new home and checking outlets, faucets, toilets, etc., so that you can address problems before the day is out. ✔ Test smoke detectors. Follow these six steps to make sure your new home's smoke detectors are working properly. ✔ Take a few extra safety precautions. Keep your family safe by following this article's tips, including changing locks on exterior doors and having mechanical equipment cleaned and serviced. ✔ Remember, you may be able to deduct your moving expenses from your taxes. The Internal Revenue Service offers the “Can I Deduct My Moving Expenses?' quiz to help you determine whether any of your moving expenses can be deducted. And yes that means you need to be sure you collect all your receipts and other important documents. ✔ Find these need-to-know locations. Of course, you'll want to figure out what the commute is to your new job, but this article recommends that you also determine the location of nine additional key locations.